Arizona. 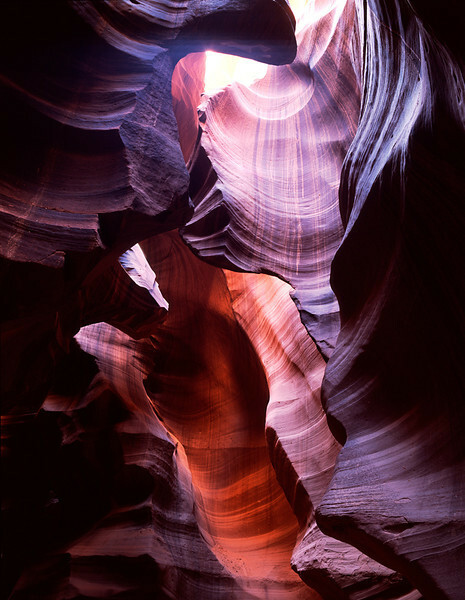 Light spilling into the deep slot of Upper Antelope Canyon of northern Arizona casts mysterious shadows and highlights the shapes and amazing colors in the sandstone walls. To 52" on the long side. Click on this preview image for a full-screen view.